Journal of Hospital & Medical Management is an Open Access, Peer Reviewed, Tri-monthly journal about Healthcare, Nursing and Clinical Science that includes a wide range of fields in these areas and creates a platform for the authors to make their contribution towards the journal. This is an open access peer reviewed journal provide such international discussion platform where information among the interested individuals could be shared. Journal of Hospital & Medical Management is one of the best open access scientific journal in which the editorial office promises to peer review the submitted manuscripts to ensure quality. The journal aims to publish the most complete and reliable source of information on discoveries and current developments in the mode of a research, review, case study, short communication, perspective and commentary. Hospital Management or Healthcare management; Hospital Administration or Healthcare administration is the field relating to leadership, management, and administration of public health systems, health care systems, hospitals, and hospital networks. Hospital Management is a resource for anyone with managerial responsibilities in a hospital ensuring to provide most effective patient care. Medical Management is sometimes called healthcare management or healthcare administration. Medical management is an umbrella term that encompasses the use of IT for health, disease, care and case management functions. Medical management strategies are designed to modify consumer and provider behavior to improve the quality and outcome of healthcare delivery. Medical management consists of licensed health professionals with extensive clinical and medical management expertise they monitor the appropriateness of member care before, during, and after a hospital confinement, and when outpatient treatment is necessary, our medical management programs work to enhance patient health and guard against unnecessary financial expenditures. Managing Medical issues have become vital due to the large number of patients in present days. Proper hospital and relevant medical management is the key to deliver apposite healthcare facilities. The scenario of patient management throughout the globe, especially, requires more effort and demands urgent attention from the respective authorities. The present scientific and technical advancement related to medical issues is also supporting in patient and hospital managements effectively. Submission of articles is not limited to these topics, articles from relevant and associated disciplines will also be considered for publication in this journal. The Journal is using Editor Manager System for well-organized processing of the publication protocol. Health care system is an organized plan of health services refer to system or program by which health care is made available to population and financed by government, private enterprise or both. Primary care includes early detection and prevention of disease. Secondary or acute care refers to emergency treatment and critical care involving intense and elaborate measures. Tertiary care includes highly technical services for treatment of individuals and families with complex and complicates health needs. Research & Reviews: Journal of Nursing and Health Sciences, Journal of the American College of Cardiology, International Journal of Medical Informatics, Health Policy, Social Science & Medicine, The Journal of Pediatrics. Medical case management is a collaborative process that facilitates recommended treatment plans to assure the appropriate medical care is provided to disabled, ill or injured individuals. It is a role frequently overseen by patient advocates. It refers to the planning and coordination of health care services appropriate to achieve the goal of medical rehabilitation. Medical case management may include, but is not limited to, care assessment, including personal interview with the injured employee, and assistance in developing, implementing and coordinating a medical care plan with health care providers, as well as the employee and his/her family and evaluation of treatment results. Medical case management requires the evaluation of a medical condition, developing and implementing a plan of care, coordinating medical resources, communicated healthcare needs to the individual, monitors an individual's progress and promotes cost-effective care. The term also has usage in the USA health care system, referring to the case management coordination in the managed care environment. Healthcare communication is the study and practice of communicating promotional health information, such as in public health campaigns, health education, and between doctor and patient. The purpose of disseminating health information is to influence personal health choices by improving health literacy. Because effective health communication must be tailored for the audience and the situation, research into health communication seeks to refine communication strategies to inform people about ways to enhance health or to avoid specific health risks. Academically, health communication is a discipline within communication studies. Hospitals are health care institutions providing patient treatment with specialized staff and equipment. A general hospital is best type since it is provided with emergency department. Specialized hospitals include trauma centers, rehabilitation hospitals children hospitals etc. hospitals are provided with outpatient department and some chronic treatment units. 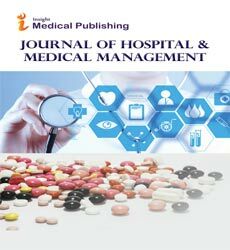 Health & Medical Economics , Hospitals and Health Networks, World hospitals and health services : the official journal of the International Hospital Federation, Japan-hospitals : the journal of the Japan Hospital Association, Michigan health & hospitals, Georgia hospitals today / GHA. Electronic Medical Record contains standard medical and clinical data gathered in one provider’s office. EMR allows a clinician to track data over time and make the process of patient record keeping easier, accurate and more efficient. Doctors use specialized software, which allows them to enter information electrically and make patient’s complete history available immediately. Nursing & Patient Care, African Journal of Emergency Medicine, Journal of Biomedical Informatics, International Journal of Medical Informatics, The Journal for Nurse Practitioners. It is a field related to leadership, management and administration of public health systems, hospitals and hospital networks. Healthcare informatics and healthcare management are the part of healthcare administration degree program. Health administration is under the supervision of group of individuals called health administrators. Health Science Journal , Applied Ergonomics, Health Policy, Health Policy and Technology, International Journal of Medical Informatics. Hospital network is a group of hospitals that work together to coordinate and deliver a broad spectrum of services to their community. Hospital system or health care system is two or more hospitals owned, sponsored or contract managed by a central organization. Emergency Medicine: Open Access, Social Science & Medicine, Social Science & Medicine, Healthcare Management Forum. Medical record it is documentation of medical and health care services provided to a patient at the directions of a physician, nurse or caregiver. These records include documentation of medical observations and opinions by these professionals and diagnostic documentation such as X-rays, laboratory work etc. Emergency Medicine: Open Access, American Journal of Infection Control,International Journal of Medical Informatics, Journal of Biomedical Informatics, Computer Methods and Programs in Biomedicine, Information & Management. Nursing is a profession within the health care sector focused on the care of individuals, families, and communities so they may attain, maintain, or recover optimal health and quality of life. Nurses may be differentiated from other health care providers by their approach to patient care, training, and scope of practice. Nurses practice in many specialties with differing levels of prescription authority. Many nurses provide care within the ordering scope of physicians, and this traditional role has shaped the public image of nurses as care providers. However, nurses are permitted by most jurisdictions to practice independently in a variety of settings depending on training level. In the postwar period, nurse education has undergone a process of diversification towards advanced and specialized credentials, and many of the traditional regulations and provider roles are changing. Nurses develop a plan of care, working collaboratively with physicians, therapists, the patient, the patient's family and other team members, that focuses on treating illness to improve quality of life. In the U.S. and the United Kingdom, advanced practice nurses, such as clinical nurse specialists and nurse practitioners, diagnose health problems and prescribe medications and other therapies, depending on individual state regulations. Nurses may help coordinate the patient care performed by other members of a multidisciplinary health care team such as therapists, medical practitioners and dietitians. Nurses provide care both interdependently, for example, with physicians, and independently as nursing professionals. Primary healthcare (PHC) refers to "essential health care" that is based on "scientifically sound and socially acceptable methods and technology, which make universal health care accessible to all individuals and families in a community. It is through their full participation and at a cost that the community and the country can afford to maintain at every stage of their development in the spirit of self-reliance and self-determination". In other words, PHC is an approach to health beyond the traditional health care system that focuses on health equity-producing social policy. PHC includes all areas that play a role in health, such as access to health services, environment and lifestyle. Thus, primary healthcare and public health measures, taken together, may be considered as the cornerstones of universal health systems. Intensive care medicine or critical care medicine is a branch of medicine concerned with the diagnosis and management of life-threatening conditions that may require sophisticated organ support and invasive monitoring. Patients requiring intensive care may require support for instability (hypertension/hypotension), airway or respiratory compromise (such as ventilator support), acute renal failure, potentially lethal cardiac arrhythmias, or the cumulative effects of multiple organ failure, more commonly referred to now as multiple organ dysfunction syndrome. They may also be admitted for intensive/invasive monitoring, such as the crucial hours after major surgery when deemed too unstable to transfer to a less intensively monitored unit. Hospital administrators coordinate healthcare services in settings such as hospitals and outpatient clinics. Take incharge of every department in hospital, and essential duties such as hiring employees, working with fundraising campaigns and ensuring regulations. They are analytical problem solvers and helps to balance effective healthcare delivery and cost efficient operation of hospital. Quality in Primary Care, Journal of Surgical Education, Annals of Emergency Medicine, Research in Social and Administrative Pharmacy, Journal of the American College of Surgeons. Public health system comprises a set of state owned health care facilities funded and controlled by government of India. Now private sector organizations are included whose actions have significant consequences for the health of public. Since government is spending on health care in India, most of these institutions are either fully or partially subsidized. Community & Public Health Nursing, American Journal of Preventive Medicine, Value in Health Regional Issues, Public Health, ournal of Infection and Public Health. Psychiatric hospitals, also known as mental hospitals, mental asylums or simply asylums, are hospitals or wards specializing in the treatment of serious mental illness, such as clinical depression, schizophrenia, and bipolar disorder. Psychiatric hospitals vary widely in their size and grading. Some hospitals may specialize only in short-term or outpatient therapy for low-risk patients. Others may specialize in the temporary or permanent care of residents who, as a result of a psychological disorder, require routine assistance, treatment, or a specialized and controlled environment. Patients are often admitted on a voluntary basis, but people whom psychiatrists believe may pose a significant danger to themselves or others may be subject to involuntary commitment. Psychiatric hospitals may also be referred to as psychiatric wards (or "psych" wards) when they are a subunit of a regular hospital. Hospital facility management is constantly needed to maintain a clean and healthy environment. It is important for medical facilities to ensure service requests are responded to quickly and efficiently and preventive maintenance schedules are set up in order to maintain operations without interruption. Emergency Medicine: Open Access, Procedia - Social and Behavioral Sciences, Energy and Buildings, Journal of Cardiac Failure. It represents the body of knowledge and practice that assures the availability of healthcare information to facilitate real-time healthcare delivery and critical health related decision making for multiple purposes across diverse organizations. Pharmaceutical Care & Health Systems, Topics in health information management, Health Information Management Journal, Journal of the American Health Information Management Association, Perspectives in health information management / AHIMA, American health information management Association. Research & Reviews: Journal of Medical and Health Sciences, Journal of health administration education, Journal of the American College of Cardiology, Journal of Biomedical Informatics, Value in Health, Journal of Substance Abuse Treatment. The Medical Equipment Management Plan defines the mechanisms for interaction and oversight of the medical equipment used in the diagnosis, treatment, and monitoring of patients. The related policies and procedures govern activities from selection and acquisition to incoming inspection and maintenance of medical equipment. Family Medicine & Medical Science Research, Health Policy, International Journal of Gynecology & Obstetrics, American Journal of Obstetrics and Gynecology, International Journal of Medical Informatics. The ultimate goal of the Recommendations for Disinfection and Sterilization in Health-Care Facilities is to reduce rates of health-care–associated infections through appropriate use of both disinfection and sterilization. International Journal of Emergency Mental Health and Human Resilience , American Journal of Infection Control, Encyclopedia of Food Safety, Journal of Hospital Infection, Public Health. The Patient Data Management System (PDMS) is a comprehensive software system in which all patients data can be integrated. The system is intended for use in complex intensive care, care-/high and medium care patients. Pediatric Emergency care and medicine- Open Access, Epilepsy & Behavior, Computational Statistics & Data Analysis, Journal of Biomedical Informatics, International Journal of Medical Informatics, Journal of Hospital Infection. Telemedicine (also referred to as "telehealth" or "e-health") allows health care professionals to evaluate, diagnose and treat patients in remote locations using telecommunications technology. Telemedicine allows patients in remote locations to access medical expertise quickly, efficiently and without travel. Community Medicine & Health Education, Journal of Telemedicine and Telecare, Telemedicine Journal and e-Health, International Journal of Telemedicine and Applications, Telemedicine today, Annual Review of CyberTherapy and Telemedicine, European Research in Telemedicine, Telemedicine and telehealth networks : newsmagazine of distance healthcare, Telemedicine and virtual reality. Organizational structure is typically a hierarchical arrangement of lines of authority, communications, rights and duties of an organization. It determines how roles, power and responsibilities are assigned, controlled and coordinated and how information flows between the different levels of management. Family Medicine & Medical Science Research, American Journal of Infection Control, Journal of Critical Care, Journal of Hospital Infection, Social Science & Medicine. Personal health record an electronic application used by patients to maintain and manage their health information in a private, secure and confidential environment. The information in PHR is reliable, accurate and can access complete health information anytime. Advanced Practices in Nursing, Future Generation Computer Systems, Computers in Biology and Medicine, The Journal for Nurse Practitioners, The American Journal of Medicine.